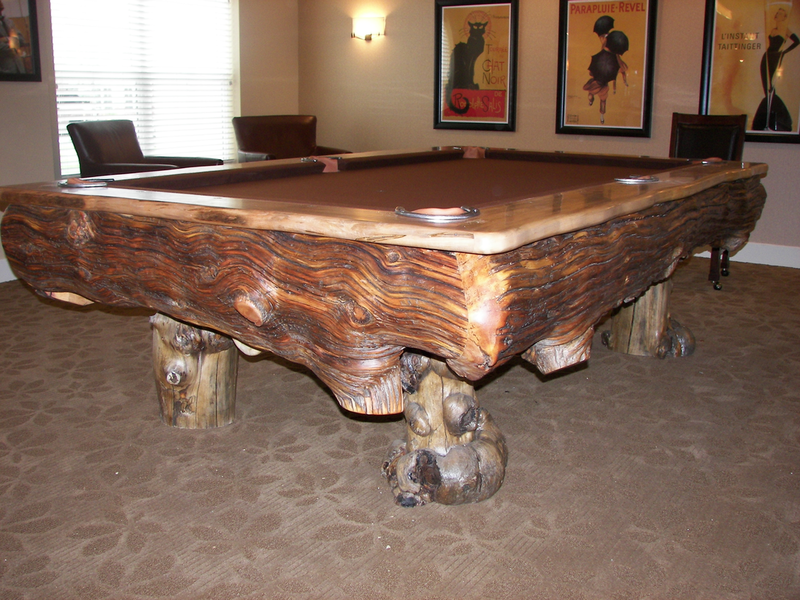 BLACK BEAR ~ Lodgepole burl sides and legs with Alder top rail. 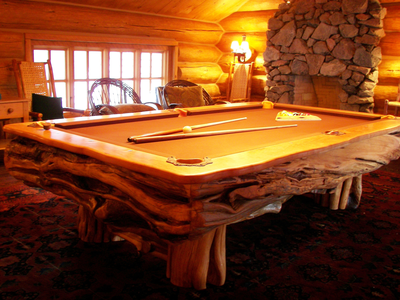 The logs for this table were harvested from a wildfire recovery area in northern Idaho. 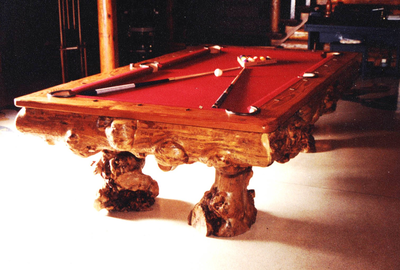 The top rails are made of Alder from the Pacific Northwest and are sculpted to conform to the shape of the burls. 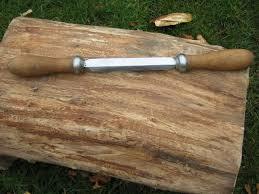 Aiming dots are Indian Head nickels placed in a head and tail alternating pattern. 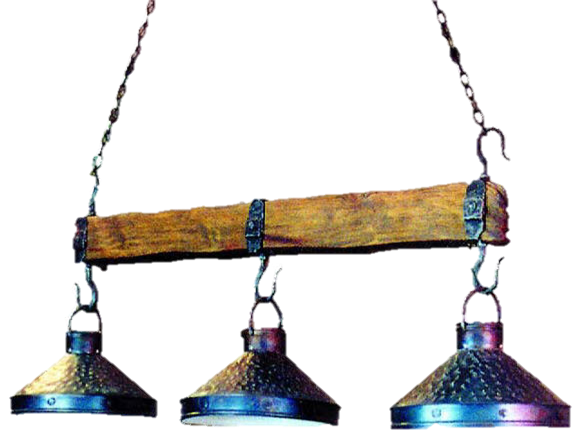 Pocket surrounds are #4 extra horseshoes hand forged to fit BCA specifications. 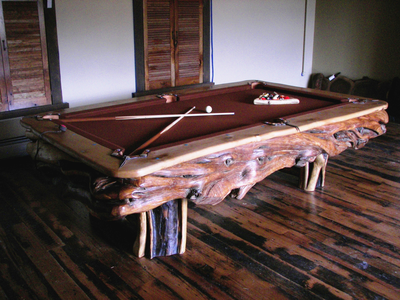 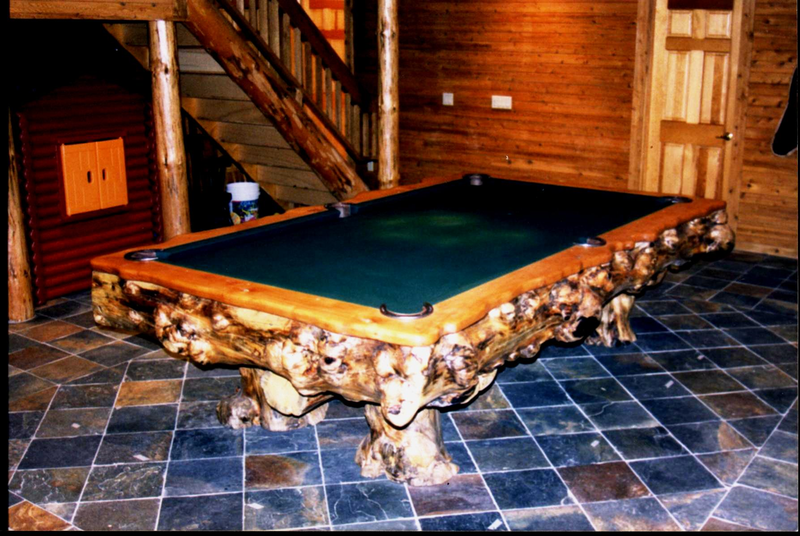 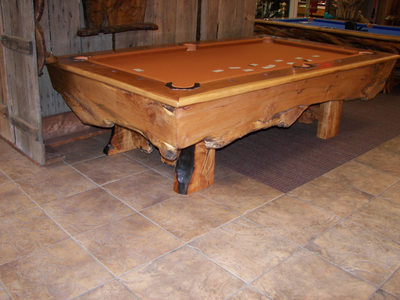 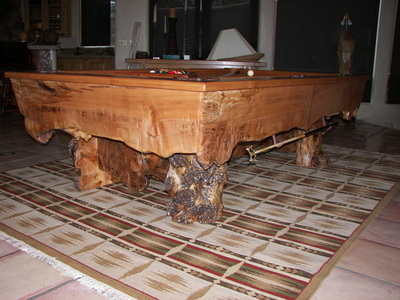 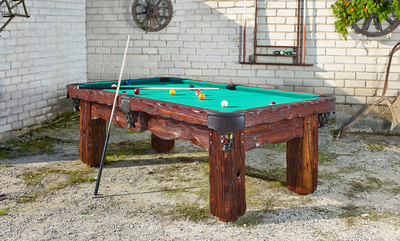 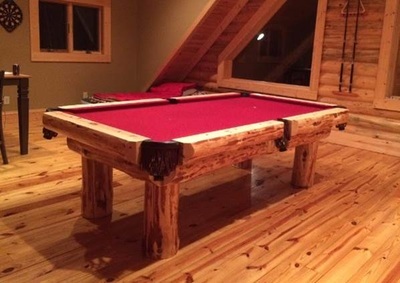 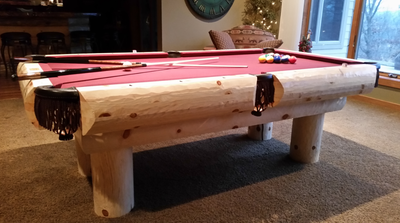 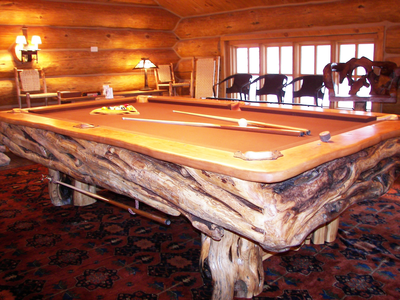 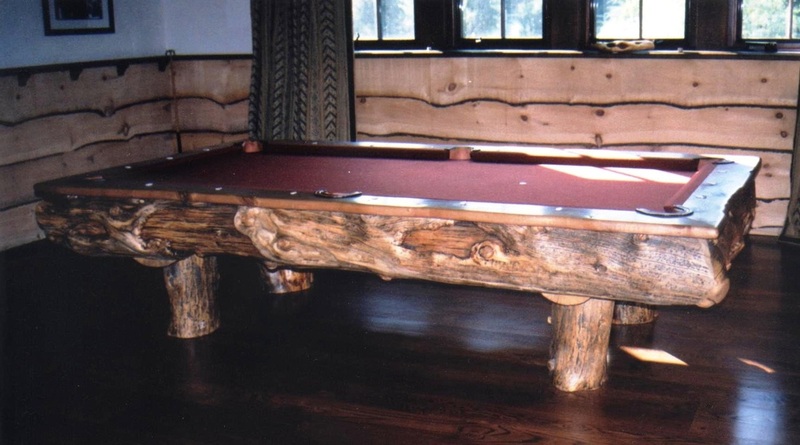 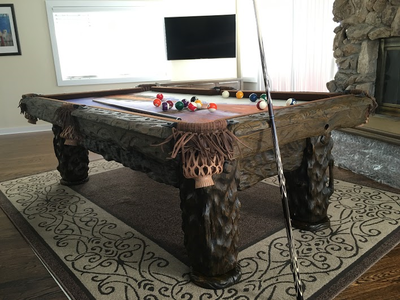 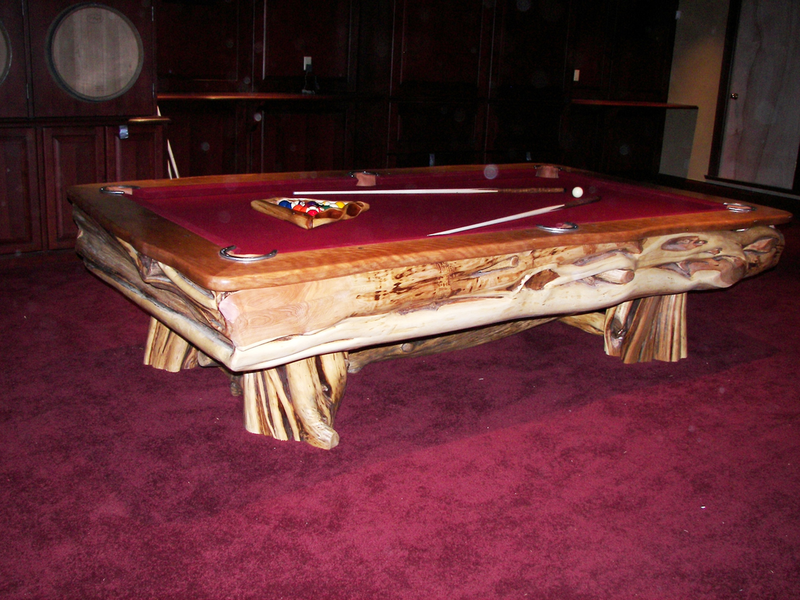 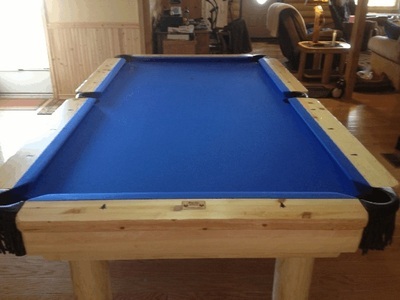 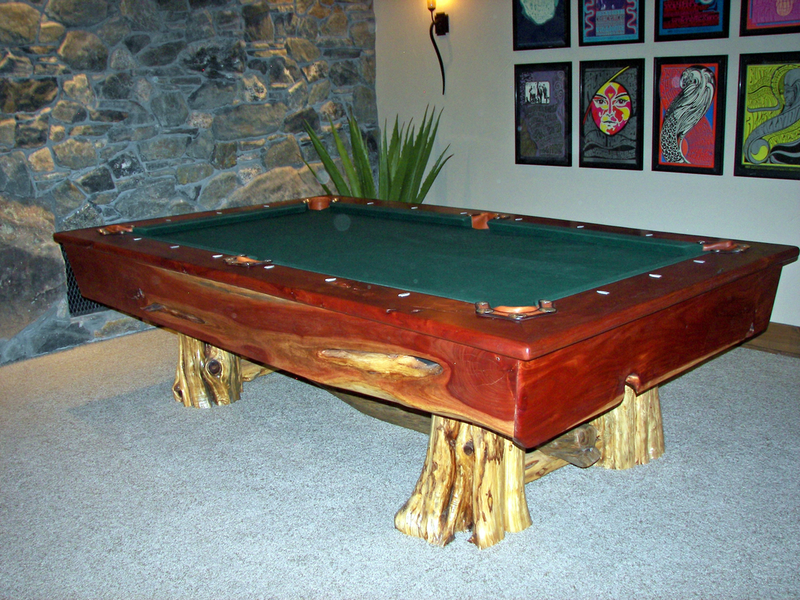 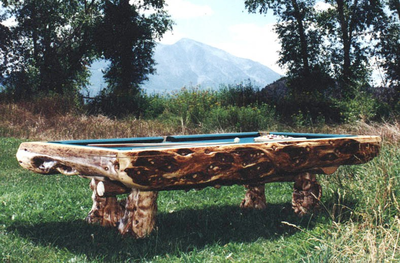 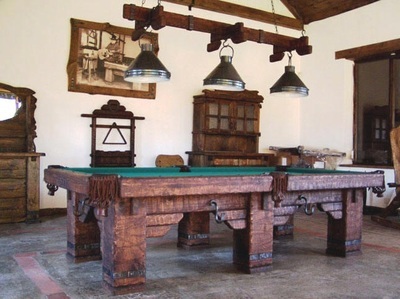 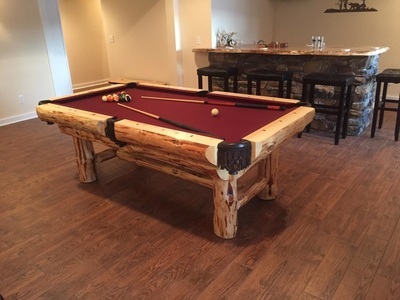 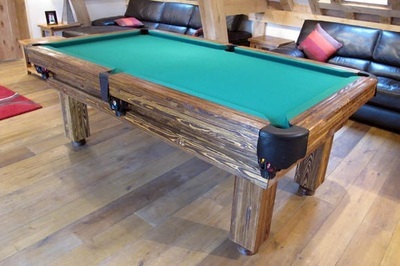 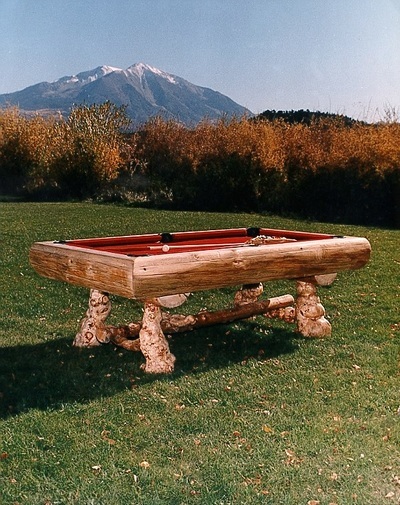 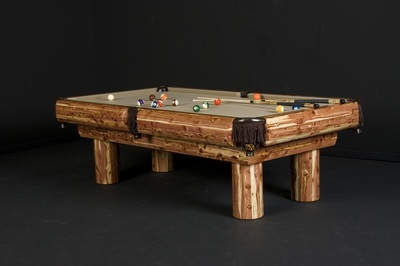 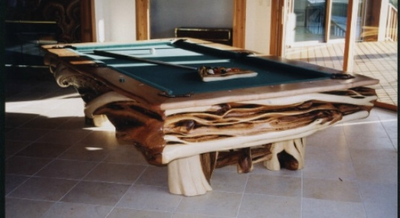 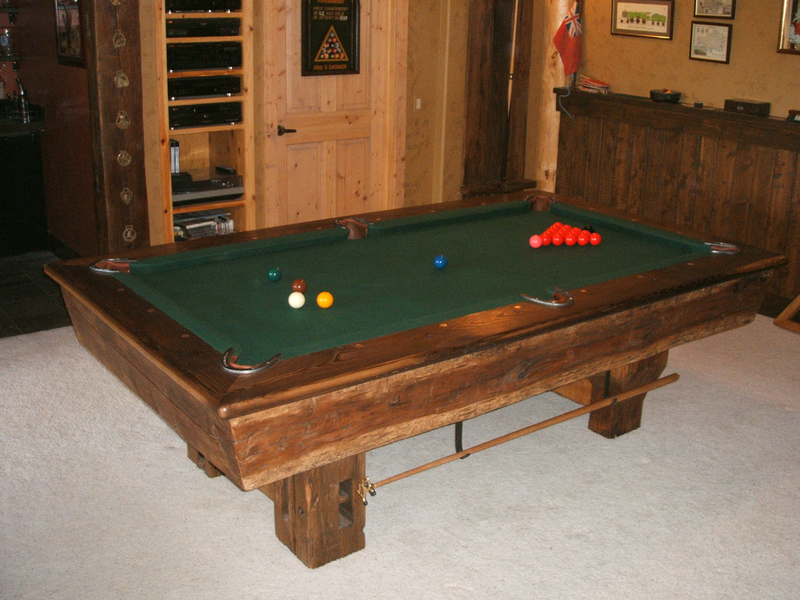 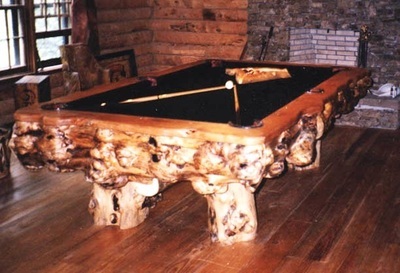 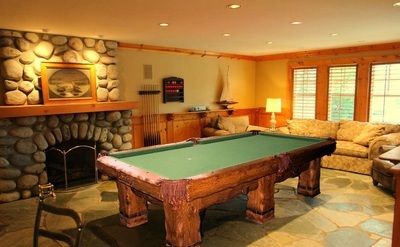 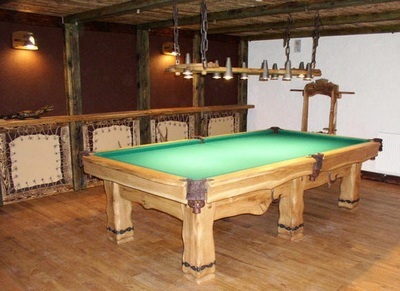 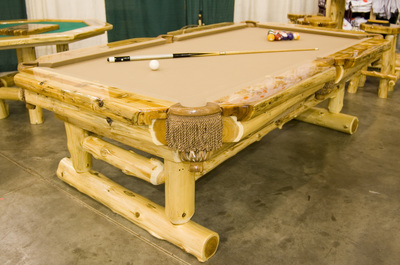 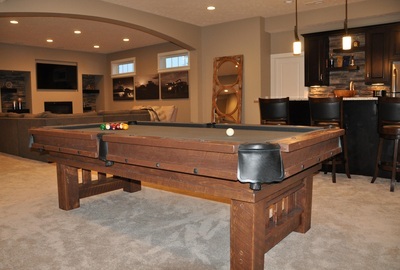 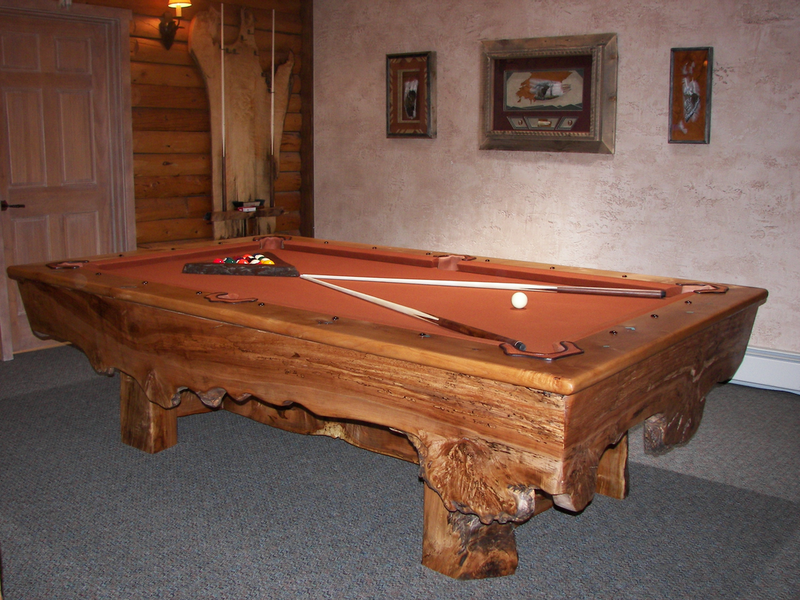 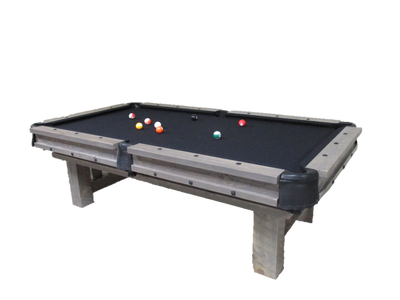 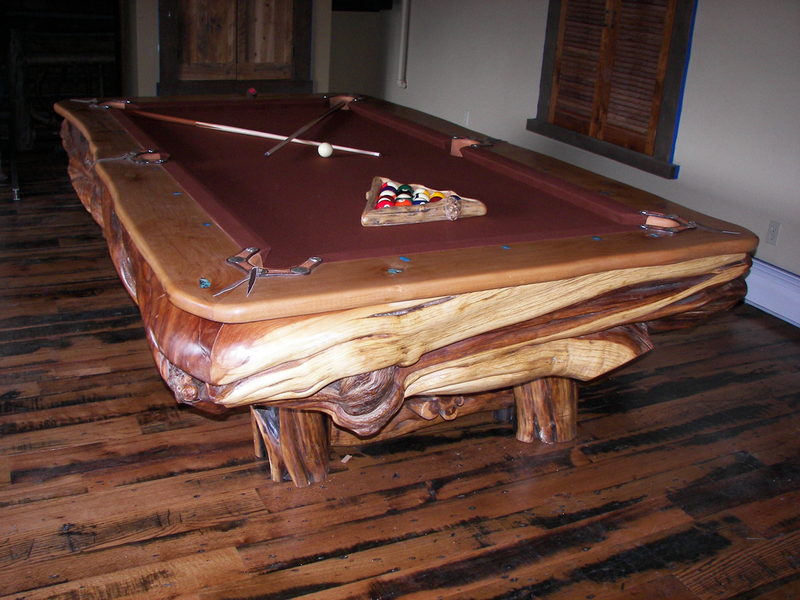 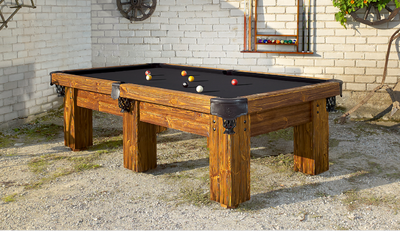 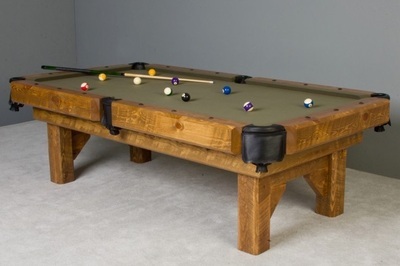 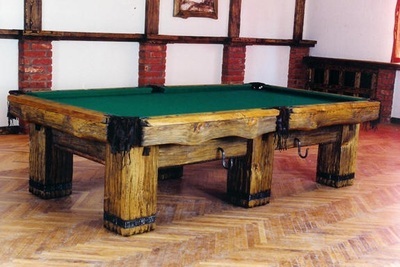 This pool table was built for a custom home in Crested Butte, Colorado.